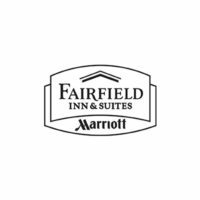 Fairfield Inn is a lower-cost brand of hotels that operates under the supervision of Marriott International. The properties have fewer amenities to allow the franchiser to offer lower prices to guests. The concept for the hotel chain was developed in the late 80s to compete with other limited-service hotel chains. Its first location opened in Atlanta, Georgia in October 1987. The Fairfield brand holds more than 700 properties across the North America. Many of these properties have essential amenities such as pools, exercise room, business centers and dry cleaning facilities. Along competitive base salary options, employees receive many benefits including healthcare coverage, disability and life insurance and flexible spending accounts. Qualifying employees also get retirement plans, associate discounts, tuition assistance, paid time-off and bereavement leave. Fairfield aims to make the workplace feel like home and bring out the best in each member. The associates empower and support one other, and appreciate each other’s strengths. How old do you have to be to work at Fairfield Inn? The minimum age requirement to work at Fairfield Inn is 18 years old. The hotel operates 24/7 so applicants must be willing to work varying schedules. Front Desk Agent: Greets visitors upon entrance, handles registration, reservation and check-in procedures, issues key cards, and takes care of customer concerns. Must be organized, personable and outgoing. Housekeeper: Takes responsibility to make beds, vacuum rooms, remove trash, clean bathrooms, replenish toiletries, collect used towels and linens for laundering, and attend to guest demands efficiently. Food Court Attendant: Sets up food court stations, maintains court cleanliness, stocks silverware and other items, ensures eating utensils are clean and readily available, and performs closing duties. Sales Representative: Reviews information on conventions, sales meetings, training classes, and other functions conducted by organization members. Contacts representatives of companies, social groups, and associations to solicit business. Other available positions are guest service agent, food and beverage associate, night auditor, assistant housekeeping supervisor, maintenance worker, van driver, laundry attendant, hotel cook and breakfast host/hostess. Candidates may apply for a job position by going to the ‘Careers’ page on the Fairfield Inn’s official website. Applicants must first create a profile and fill out an online form. Users with a LinkedIn account may upload their account data to speed up the application process. The required information includes personal details, employer history, and training and education backgrounds. Be sure to apply for a position, which fits your skills and abilities. Utilize the website’s filter and search options so you can find job vacancies that are nearest you. Applicants also need to answer job-specific questions and upload their resume. Go over your answers multiple times and proofread your resume before submitting to ensure accuracy. You can log back into the site any time to check the progress of your application. If you have further questions or don’t hear back from the company in 2-3 weeks, you may visit or call the hiring personnel. Fairfield Inn believes in the value of putting people first. They maintain a work culture, which pursues excellence, embraces changes, and employs associates that act with integrity. This year, Marriott International, the company that directs Fairfield Inn, celebrates their 30th Awards of Excellence. The program gave recognition to individuals with outstanding performance and who demonstrate the 5 key traits: perseverance, effort, dedication, character and achievement. Fairfield Inn hotels are known for accommodating not only vacation travelers but business people as well. They offer various amenities to accommodate personal and professional needs of guests. One exclusive amenity, called the Workspace on Demand, allows business people to reserve workspaces so they can work more comfortably. The workspaces have Wi-Fi access, various devices, and supply of food and beverages.